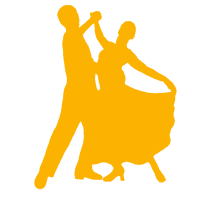 The mission of VU Ballroom is to provide a fun, affordable means for students of Valparaiso University and members of the community to experience the art of ballroom dancing, to develop members’ ballroom talents, and to improve the social and educational environment of Valparaiso University. A. People will not be denied membership to VU Ballroom based on race, color, gender, age, disability, national origin/ancestry, sexual orientation, or religion. 1. All individuals who attend at least one event and are recorded on the sign-in sheet are considered a Social Team member of VU Ballroom. 2. Membership status must be renewed each year. a. A social team member may ask to be removed from the listserv at any point. b. Contact list will be updated at the beginning of each school year. 1. Competing members obtain membership through expressing interest to the Team Captain(s). 2. Continued competing membership requires a minimum of four hours of practice per week the four school weeks prior to a competition to receive funding. One of the four required hours must be at designated practice times with the team. Team members are also required to attend at least two workshops by captain approved coach(es) each semester. Any exceptions regarding hours or missed workshops must be approved at the discretion of the captains. a. For members taking team organized private lessons with captain approved coach(es), if a member needs to miss a private lesson they must give notice to the Captain(s), Lessons Coordinator, and the team 48 hours in advance to find a replacement person to take the lesson. If no team member takes the slot, or if they fail to give 48 hours notice, they will need to pay for the lesson slot. If two lessons are missed without enough notice or are unexcused, the privilege of a private lesson slot will be revoked. If four lessons are missed, even excused, the private lesson slot will be revoked. Emergency situations will be taken into account at the discretion of the Captain(s) and Lessons Coordinator. The payment for the missed lesson is due to the Treasurer within one week of the missed lesson, and then the Treasurer will reimburse the replacement person for the lesson, or pay the coach, and notify the team via the team email that they have made the payment. b. For members who participate in the group lessons or workshops, if a member needs to miss a group lesson or workshop they must give notice to the Captains and Lessons Coordinator 48 hours in advance. If they fail to give 48 hours notice, they will need to pay for the lesson. If two lessons or workshops are missed without enough notice or are unexcused, funding for the next competition will be revoked. Emergency situations will be taken into account at the discretion of the Captains and Lessons Coordinator. The payment for the missed lesson is due to the Treasurer within one week of the missed lesson, then the Treasurer will pay the coach. Or, the individual will pay the coach directly, and notify executive board via the team email account. c. Any changes made to lessons at any point must be communicated to the Lessons Coordinator. Captains need to approve or disapprove a potential coach within a week after receiving an informative email from the Lessons Coordinator. d. Competitive Team-sponsored workshops taught by a team-approved coach may act as a substitute for the semester’s lessons. ii. Team members must notify the Lessons Coordinator 48 hours in advance if they choose to substitute a private/group lesson for a workshop. e. Any further disciplinary action for missing lessons or workshops will be at the discretion of the Captains and the Lessons Coordinator and include but are not limited to: revoking of team funding, payment of missed lesson or workshop, and removal from the team. 3. Current team members must practice at their competing dance level until they have been approved by the Captains to move up to the next level as stated in Article II Section C.
4. Failure to fulfill Competition Team membership requirements in the four weeks prior to a competition makes the individual ineligible for financial assistance for that competition. Members will receive formal team policy warnings via email before losing funding. A. VU Ballroom, through the Vice President, organizes registration, travel, and accommodations. 1. The Vice President collects all necessary information from Competitive Team members. 2. The Vice President, in partnership with the Treasurer, sets deadlines for submission of intent to attend and registration information. 3. The Vice President with the Team Captains verifies that Competitive Team members are eligible to compete (as set forth in Article I, Section C). B. VU Ballroom, through the Treasurer, organizes payment for registration, travel, and accommodations. 1. The Treasurer sets deadlines for payment of necessary fees. 2. Costs beyond VU Ballroom’s budget for that competition are split among attending competitors. 3. Individuals deemed ineligible by the Vice President and Team Captains may attend competitions, but will be charged for all competition fees incurred by VU Ballroom on his or her behalf. C. Captains will inform competitive team members when they are eligible to move up based on the spreadsheet calculations. 1. The criteria for moving up is defined in Appendix A. 1. A competitor may withdraw from a competition before the deadline set forth by the Vice President without penalty. 2. If a competitor withdraws after the deadline, they are responsible for all expenses incurred by VU Ballroom on his or her behalf, except in extreme cases as approved by the Executive Board. 1. Team members may attend additional competitions, but they will not receive any funding from VU Ballroom. 2. Team members wishing to compete under VU Ballroom's name at additional competitions must receive the approval of the Team Captains. 3. If competitors want an outside competition to count towards their moving up criteria, they need to inform the Captains. A. The Executive Board is given sole power over all decisions not specifically granted to general members in this constitution. B. Executive Board members and coordinators will hold terms of one year. C. All officers are required to maintain information regarding their positions in a format that can be passed on to the next incoming officers. D. All exiting officers are required to have a transition meeting with the incoming officer. 1. In order to be considered eligible, a member must have been a part of VU Ballroom for at least two semesters and be a student of Valparaiso University, excluding Website Coordinator and Camera Coordinator, who must have been part of VU Ballroom for one semester and be a student of Valparaiso University. 2. Members cannot hold more than one position for the same term with the exception of the Camera and Website coordinators. 3. Should no eligible person be available or willing, these requirements are waived. i. Notifies Executive Board of meeting time and location at least 48 hours in advance. ii. Sends out an agenda at least 24 hours in advance of Executive Board meetings. coordinators are performing their duties. d. Forms and dissolves committees as needed. e. Maintains all ties with Student Senate. f. Maintains ties with VU Ballroom’s Faculty Advisor. i. Initiates a yearly review of this Constitution. j. Has possession and maintains a record of team history. l. Reserves rooms for competition practices, social lessons, and all other events well in advance. m. Attend monthly meetings at the president round table. unavailable, resigns, or is impeached until such a time that the President is replaced. b. Organizes away competitions as designated in Article II Section A.
c. Maintains ties with away competition schools. them to the Google account in addition to emailing them out to the team. b. Maintains the organization’s listserv. c. Checks the Gmail account and labels mail for appropriate officers. d. Notifies appropriate officers of all urgent emails. e. Sends emails with weekly announcements about social lessons and other events. f. Maintains attendance sheets for all social events. g. Maintains an archive of all documents that are pertinent to the maintenance and activities of the organization. h. Maintains Competition and Social Team gmail calendar. a. Develops yearly budget and presents it to Student Senate and the Finance Committee. b. Manages the organization’s budget. d. Any expenditure outside of the budget requires the approval of the Executive Board. e. Reimbursements shall be provided only for Senate approved expenditures. f. Works with Vice President to determine all competition fees and deadlines (as set forth in Article II, Section B). g. Maintains organization’s tax-exempt status by filing an IRS form 990 before the end of the fiscal year. h. Treasurer must present the budget to Executive Board prior to submitting it to Student Senate. i. Treasurer will maintain record of correspondence with regards to encumbrance forms and payment of individuals. a. Informs the club of dance events not being hosted by the club. b. Organizes social events at least three times each semester. c. Designs, distributes, and arranges advertising for all VU Ballroom events. d. Is responsible for maintaining a social media presence for the team. e. Communicates with the Torch to advertise for team events. f. Coordinates VU Ballroom table and publicity in regards to the Student Activities Fair. a. Organizes and reserves space for group and private lessons for both Fall and Spring Semesters. b. Coordinates teachers for both beginning and intermediate Social Lessons. d. Communicates with the Team Coach(es) about all lesson times, changes, and the academic calendar. e. Is required to teach the social lesson if another teacher cannot be present unless he or she has an academic commitment. f. Coordinate 3 workshops per semester with approved outside coaches with the help of the captains. a. Executive Board appoints all coordinators by a simple majority vote, and the individual has the right to accept or deny the appointment. b. Coordinators must attend Executive Board meetings if requested to do so with four days notice, but they have no voting rights. iv. Maintains contact with and handles contracts with the Union for all hired professionals for Valpo Comp in a timely manner. i. Maintains and updates the organization’s website. ii. Posts updates for every major team event. iii. Posts links to relevant videos and results page. iv. Update the social lesson calendar and pictures/videos at least each semester. v. Communicate with the Treasurer to make sure the website is paid for each year. i. Is responsible for the team camera and appoints individuals if needed. ii. Records or coordinates recording of competitions, call outs, and other requested events and appoints a substitute in the case of their absence. iii. Uploads, labels, and organizes all videos to the team YouTube account within two weeks of the event. 1. The existing Executive Board will determine the number of captains for upcoming academic year based on the needs of the team. 2. The Captains are non-voting members of the Executive Board. 3. One Captain must primarily compete as a lead, and the other must primarily compete as a follow. 1. Member of VU Ballroom for at least one year. 2. Proficient in leading and following all Bronze level dances in American and International Styles as determined by the outgoing Captains and outgoing President. 3. Eligible to compete Silver in at least one style on or before the last competition of the semester. 4. Has served as an Executive Board member or Coordinator, or has received an exception from the outgoing Executive Board. 1. Organizes and oversees team practice. 2. Maintains and enforces Team Policies as outlined in Article I Section C.
3. Resolves Competitive Team member issues. 4. Provides information to Competitive Team regarding team etiquette. 5. Consults with the Executive Board to choose competitions for the year. 6. At least one Captain is present at all team sponsored competitions, unless absence is approved by the President. 7. Serves as physical representative for VU Ballroom at competitions. 8. Has final say in decisions regarding the development of the Competitive Team, unless overruled by a unanimous vote of Executive Board. b. If a decision cannot be reached, the Vice President will serve as mediator. 9. Casts, organizes choreographers, and oversees preparation of Showcase dances. 10. Communicates with Lesson Coordinator about private and group lesson material. 11. Teaches and oversees Newcomer class. a. Serves as designated teacher for Newcomers at Competitive Team practices. I. All questions are encouraged to be asked to the Captains first. II. If no captain is available, any Captain approved silver level or above dancer in that style may answer questions they are asked. b. Captains serve as guidance and resource for returning team members. Returning team members can also seek guidance from one another. c. One captain must attend all group Newcomer Lessons. If needed, captains can appoint another team member to oversee lessons. d. Works out partner pairings for incoming Newcomer class. e. Organizes a mock competition before the first competition in the Fall Semester. f. Teaches proper Dancesport etiquette. g. Is responsible for coordinating shoe orders. 12. Maintains practice attendance and notifies the Executive Board when a member violates team policy. 13. Is responsible for selecting and maintaining ties with team coach(es). 14. Records attendance at all team sponsored workshops. A. Executive Board meetings are open to all members of VU Ballroom, but only the Vice President, Treasurer, Secretary, Public Relations Officer, and Lessons Coordinator may vote. B. In the case of a tie, the President shall cast the deciding vote. C. Executive Board shall meet weekly, excluding academic recess, to discuss and decide upon matters pertaining to the organization. D. At least four officers are required for Executive Board to meet or vote on motions. E. Should an officer need to be absent from a meeting, he or she must inform the President at least 24 hours before the meeting is scheduled to take place. F. Two unexcused absences represent a failure to perform duties and constitutes grounds for impeachment. G. Motions may be made by any Competitive Team member, and in order for a motion to pass, it must receive a second and win a simple majority vote of all Executive Board members. H. Any Executive Board member may call a meeting at their discretion with 48 hours notice. A. Executive Board elections shall be held before the final competition of the year. B. The actual date shall be decided upon by the President and announced to the team at least two weeks prior to the elections. 1. Any member is allowed to nominate another member or him/herself. 2. Members must be given at least one week to turn in nominations. 3. If the nominee is eligible, he/she will be notified via e-mail. 4. The nominee may then accept and submit a short statement regarding his/her qualifications or reject the nomination. 5. The Secretary and Public Relations Officer may be nominated for partial terms to be replaced by a specified member at a predetermined date. 6. Executive Board retains the right to reject any nominations which they unanimously believe will not be able to uphold the duties of the position. 7. Any member accepting a nomination is required to read the Constitution before his/her name is added to the voting ballot. 1. All competitive members of VU Ballroom are eligible to vote. 2. Voting will be done by secret ballot. 3. Voting will occur at a date, time, and place determined by the President. 4. Absentee ballots must be submitted before the end of the election time. 5. The President will count the votes unless the President is a nominee for a contested position, in which case the Vice President will count the votes for that position. 6. If any member, officer, or coordinator finds an issue with the final count, he or she can request a count validation which will be performed by the Vice President and/or Secretary. 7. The nominee receiving the most votes will win the position. 8. In the case of a tie, the Executive Board will vote on the contested position, excluding any officers who are nominated for the contested position, and the nominee receiving a simple majority of votes will win the position. a. In the event that there are fewer than four voting members of the Executive Board eligible to break the tie, a general membership vote will be rerun with only the tied nominees on the ballot. b. Any position for which there are multiple people holding the position (i.e. Captain) will still be treated as one position, rendering any Executive Board member nominated for that position ineligible to vote, even if they are not involved in the tie. 9. Newly elected officers will assume their positions at the second Executive Board meeting following the election. 1. If any officer believes he/she is not able to successfully perform the duties of his/her position, he/she may step down by notifying the Executive Board. 1. Should a position become vacant, an emergency election shall be held to fill the empty office. 2. The replacement officer will assume his/her duties immediately following the emergency election. 3. The President shall temporarily fill the empty position pending the results of the election. 4. If the office of the President is vacant, the Vice President will fill the position until the emergency election. a. Failed to perform his/her duties effectively. b. Utilized his/her position for their personal advantage. c. Acted in a manner detrimental to the organization. d. Had two unexcused absences from Executive Board meetings. 2. A simple majority vote of the Executive Board is considered sufficient to pass a motion of impeachment. A. Amendments to the Constitution are done through motions at any Executive Board meeting. B. Amendments to the Constitution may be initiated by a motion by any competitive team member. C. Amendments must be presented in their finalized written form before voting can occur. D. Four votes shall be considered sufficient to pass an amendment. E. Unless otherwise specified in the motion, approved amendments will be transcribed and go into immediate effect. F. Formal review of the Constitution must be completed before announcement of elections. A. Any officer or chair believing that VU Ballroom does not have the resources to fulfill its purpose may initiate a motion of dissolution at any regular meeting of the Executive Board. B. There must be a unanimous vote in order to pass a motion of dissolution. C. If the Executive Board passes the vote, a three-fourths majority vote of the general membership is required to dissolve the club. D. Should a motion of dissolution pass, all accounts shall be closed and all assets will be immediately turned over to Valparaiso University. If there should be a disagreement over the meaning of any provisions of this document, immediate clarification will be decided by a simple majority of the Executive Board. The Constitution shall be amended to reflect this clarification. Any Executive Board member or acting instructor shall retain the right to remove any person from any VU Ballroom sponsored function for unruly conduct. If the conduct persists, Executive Board shall retain the right to unanimously vote to expel the organization member or student permanently from all future functions. A minimum of one Executive Board member must be present at every VU Ballroom sponsored event, both on and off campus, unless otherwise approved by the Executive Board. This constitution shall be available to all organization members at their request. All members of VU Ballroom must abide by all team policies. Any member in violation of any of the team policies is subject to probation and expulsion from the team. If any team member fails to submit a payment by the due date, they shall be charged a predetermined late fee in addition to the amount they already owe. Members shall be informed of due dates at least a week in advance by email. Individuals may not register with a two-or-more-level-gap within a style if they are dancing the same role. (Example: Leads cannot compete as a lead in bronze and gold simultaneously). Individuals may not register with a three-or-more-level-gap within a style if they are dancing their primary role for the upper level and secondary role for the lower level. (Example: a gold follow may not register to dance newcomer but may register to lead bronze and may register to lead or follow silver). Syllabus events (Bolero/Paso) are allowed at start of bronze if individuals teach themselves. Optional otherwise. Strongly encouraged when moving to silver of respective style. Requirement for individuals to place in the top 25% at least once in syllabus to be allowed to dance open equivalent. (Example: No first-time champ paso doble). If an individual’s running average of the past three competitions is in the top 25% of the floor, they are eligible to move up to the next syllabus level while dancing their current level concurrently. (Example: Someone in bronze placing in top 25% on bronze floor is eligible to dance bronze and silver). If an individual’s running average of the past three competitions is in the top 15% of the floor, they must leave the lower syllabus level. If a competitor is eligible to move up in a select style, but their partner is not (25% average), the couple may decide to move up together, if they feel they are ready. For this to apply, the couple must have competed once before in the lower level. A couple that has actively competed exclusively within a level for at least two calendar years can move up a level. However, individuals must dance the current level and the next level concurrently until they are able to move up to the higher level by the 25% rule. Exclusively Gold/Open couples are required to place in the top 50% to be eligible to begin competing the next level. In the event of back-to-back weekend competitions with close registration dates, couples may register a level up for the second comp before competing at the first, but are required to scratch if they are deemed ineligible based on the results of the first comp. Graduating dancers are allowed, but not necessarily encouraged, to dance one level higher than their current level in every style under VU Ballroom's name for one competition of their choosing during their last collegiate semester. In the event that one person in the partnership is not graduating, then only their lower level scores will be counted in determining whether they move up the next semester. Moving down: silver+ competitors are allowed to move down one level provided they are either entering a new partnership (experience gap) or have not danced/competed while studying abroad. Dancers should be confident about moving up fully when they are allowed to. (Can be waived on extenuating medical circumstances).